Even though there is no denying the fact that Ukrainian legislation and its implementation are still far away from creating ideal conditions for doing business in Ukraine, over recent years certain positive reform trends can be observed in many branches of law. Among the trends that became apparent in 2017, the measures aimed at liberalisation of currency regulations are particularly noticeable. In particular, at the end of 2016, the National Bank of Ukraine (NBU) approved the New Currency Regulation Concept declaring the liberalisation course and defining its main stages. Such stages include repeal of the temporary administrative restrictions, development of the currency exchange market and the financial system to support the economic growth, and others. These steps are planned as part of the implementation of the EU-Ukraine Association Agreement of 27 June 2014 whereby Ukraine committed itself to ensure proper conditions for the further application of EU rules on the free movement of capital. Below we describe in more detail the specific measures taken in 2017 for the liberalisation of currency regulations and their impact on doing business in Ukraine, in particular partial simplification of conditions for foreign trade business operations. Having found itself amidst the conditions of the 2014-2015 political and economic crisis, the NBU had to take some rather tough foreign currency regulation measures, having introduced a number of restrictions on currency exchange transactions. Today, however, due to certain stabilisation of the situation, the NBU is gradually removing such restrictions. 4 April 2017 On Amendment of NBU Board Resolution No. 410 of 13 December 2016, and subsequently NBU Board Resolution No. 129 of 13 December 2017 On the Obligatory Sale of Proceeds in Foreign Currency and the Obligatory Sale Amount for Such Proceeds mitigated the requirements set for the obligatory sale of proceeds in foreign currency. The above changes enable legal entities (companies) to sell 50% instead of 65% of their foreign currency revenues, which will support the operation of export-oriented companies. 30 May 2017 on Amendment of Certain NBU Acts cancelled the prohibition on the purchase of foreign of currency if the client has the equivalent of more than USD 100,000 of its own funds on its accounts. Previously, the excess of the above amount would leave the client with no choice but to fulfil the obligations to its counteragents at the expense of foreign currency amounts already available to them. 23 March 2017 On Amendment of Certain NBU Acts simplified the registration procedure for agreements on foreign currency credits/loans attracted by residents from non-residents. In particular, the Resolution has simplified the registration procedure in case the lender under the credit/loan agreement is replaced. It has also extended the list of contractual parties entitled to initiate registration procedure with banks. Namely, the registration or amendment of agreements can now be done both at the request of the borrower, and at the joint request by the new and previous lenders. The NBU expects that by enabling the lenders to initiate the registration procedures on their own it will be possible to enhance the possibilities for the circulation of lender rights and will make foreign investors more interested in participating in lending projects in Ukraine. The same Resolution also foresees introduction of a new automatic system to register agreements on the receipt of foreign currency credits/loans by residents (Ukrainian companies) from non-residents (foreign companies). The serving banks have been provided with access to the NBU loan agreements e-register, enabling them to supervise, on their own, the observance of legislation during the transactions under the lending agreement, particularly with regard to the maximum interest rate. Subsequently, the servicing bank passes the lending agreement data to the NBU, which registers the agreement in the “application” regime through automatic entry into the e-register based on the data received from the servicing bank. Upon registration, the servicing bank notifies the Ukrainian borrowers on its completion. In addition, the Resolution also cancels the request for obligatory submission by the borrowers of an NBU certificate on the scope of the loan received and the status of its repayment. In the past borrowers were requested to submit such a certificate to the serving bank if the attracted foreign currency funds were deposited on an account outside Ukraine. On 12 June 2017, amendments to NBU Board Resolution No. 51 of 8 June 2017 On Amendment of Certain NBU Acts came into force, thereby simplifying the conditions for investing abroad. Ukainian companies may now use one currency license to buy up to USD 2 million (or its equivalent in another currency) at the interbank forex market over one calendar year to invest such funds abroad. Earlier, this amount was limited to USD 50,000 (or its equivalent in another currency) under one currency license over one calendar month. Besides, the NBU introduced differentiated conditions for the documents to be submitted to receive the currency licenses, depending on the amount of the intended investment abroad. For amounts below USD 50,000 a shorter list of documents will be required, while for those above such level, an extended list is introduced to prevent the use of currency licenses for syphoning money from Ukraine. Natural persons (individuals) wishing to transfer funds abroad are now able to benefit from a simplified licensing procedure for such transactions, particular through receipt of individual e-licenses, provided that the amount and the aims of such transfer meet the criteria set by the NBU. Under the new procedure, an individual e-license can be received within a few days by addressing the serving bank. Despite the approved Concept and its quite active implementation, legislation on foreign trade, currency regulation included, still remain far from perfect. Having taken a few steps towards reducing currency restrictions, the NBU has also introduced tougher rules for financial monitoring in 2017 (NBU Board Resolution No. 42 of 25 May 2017 On Approval of Amendments to the Banks Financial Monitoring Regulation). Such rules set out more requirements for business to be able to undertake various banking transactions. In addition, just like before, the legal acts containing the currency regulation rules are not sufficiently streamlined: the norms aimed at regulation of one and the same issue may be present in different acts, thereby complicating their practical and uniform application. Any forecasts about the future of currency regulation and legislation systematisation are rather premature. On the one hand, further Concept implementation envisages more liberalisation while, on the other hand, the insufficiently stable situation on the Ukrainian currency exchange market raises grounded doubts about the speed of such steps. 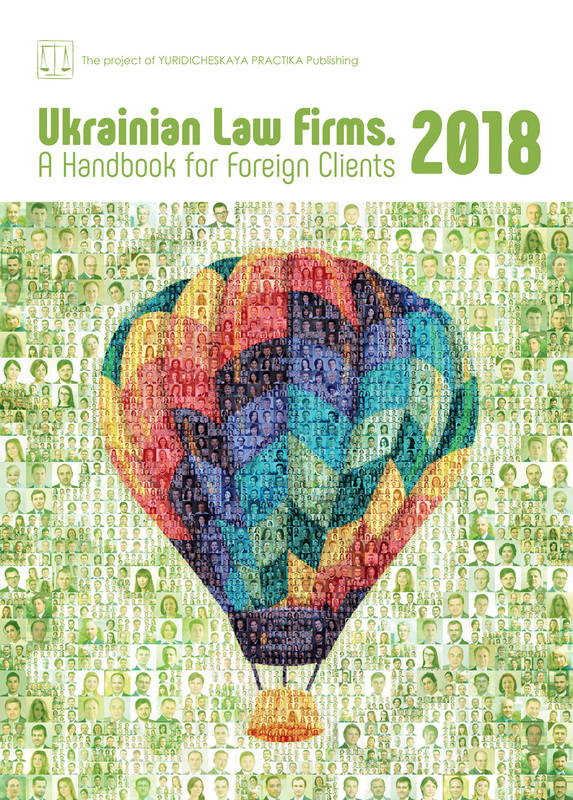 Therefore, when preparing and structuring agreements with the participation of Ukrainian business, as well as when planning foreign economic operations in Ukraine, it is very important to get a professional legal assessment of all aspects of such activities, including currency regulations.